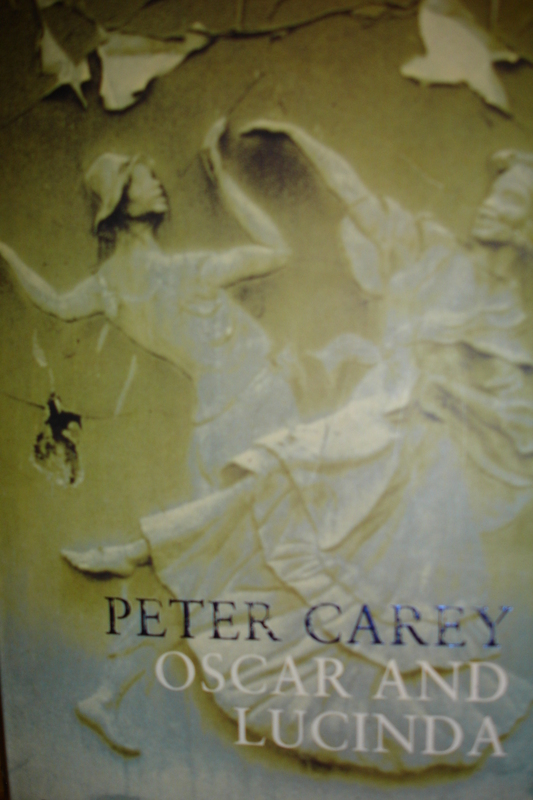 This is not the first time I’ve read Oscar and Lucinda by Peter Carey and I dare say it won’t be the last. I’ve been on a bit of a historical bent of late, and an American friend of mine, recently arrived into Australia, wanted to read it so I thought, ‘why not?’ Winner of the Booker Prize in 1988, O&L sees Carey at his irrepressible best, writing with such vivaciousness that he is able to transcend the technical limitations he constructs, and provide us with a modern classic in the process. The story is narrated by the great-grandson of Oscar who occasionally pops up with first person, present-day diversions, but whom we never really know much about. This ‘frame’ allows Carey some freedom with language and also the details which the narrator uses (such as noting historical facts that occur after the time-period of the story). However, it creates a problem of logic: the narration slips from 1st person in the present day to the close 3rd person in the past and we have to ask how our narrator could possibly know all these details? It’s a fascinating authorial choice. The slip between 1st and 3rd person is very sly, almost unnoticeable, but it is noticeable. So apart from some minor benefits noted above, why does he do it? I suspect the main reason, (without giving much away here), arises because of a need to set up the tale of the antecedents of the narrator. That said, I’m not sure it was necessary for the narrator to be constructed in this way, and it might make it hard for some readers to suspend disbelief. But enough of technical musings! Our memorable protagonists, both outsiders, both by turns reserved and wild, are brought together quite late on – they first speak to each other only on page 231. As the narrator tells us [p225], “In order that I exist, two gamblers, one Obsessive, the other Compulsive, must meet.” Despite this separation, they are tied together by two of the core motifs of the novel: glass, and more particularly their unquenchable thirst for gambling. These passions are fused together in Oscar and Lucinda’s mad folly to build a glass church for remote Boat Harbour on the Bellinger River in northern NSW – a folly which is sealed with a wager. It is precisely because of the details with which Carey creates the past that this implausible bargain is made so real, so believable. Glass appears in the very first paragraph, [p1]: “… the wall which held the sacred glass daguerreotype of my great-grandfather, the Reverend Oscar Hopkins (1841-66).” Oscar is encased in glass in the very first image, and, as it happens, he is encased in glass at the end too. It’s a lovely symmetry in a wildly picaresque story. Not too long after, [p11], we meet Oscar as a boy in a coastal village in Devon England, son to a Christian fundamentalist preacher and accomplished naturalist whose “eyes were fixed, looked straight before him and shamed the devil.” [p24] Oscar is re-classifying his button collection, some of which are glass. The re-ordering of several hundred buttons shows us his obsessive nature, a nature that will ultimately bring him trouble in many ways. Oscar was afraid of the sea. It smelt of death to him. When he thought about this ‘death’, it was not as a single thing you could label with a single word. It was not a discreet entity. It fractured and flew apart, it swarmed like fish, splintered like glass. This lovely linking of glass and water* lays the groundwork for the final scene. When we meet Lucinda, in colonial New South Wales, [p77], we hear of her admiration for the Crystal Palace, a large cast-iron and glass exhibition space (originally built in London’s Hyde Park to house the Great Exhibition of 1851, later moved to a suburb south of London, and sadly lost to fire in 1936). We also hear the story of how, as a girl, her father obtained from England and then exploded for her a Prince Rupert’s drop: a marvellous accident of glass making, at once incredibly strong and, if nipped in just the right place, overly weak, exploding into glass so fine it was like ‘brown sugar’. Lucinda finds in this event an emotion—wonder—which is described [p134] as “very more-ish.” Already we sense in her the thrill of such events, the rush that games of chance and gambling will later bring her. Meanwhile, back in London, Oscar has eschewed living with his father for the local Anglican priest, the Rev Hugh Stratton. He decides this by throwing a stone over his shoulder onto a hopscotch ‘court’. It is a game of chance in, but the pebble keeps landing on ‘α’ – alpha or ‘a’ for Anglican. Oscar takes it as a sign from God. He moves out, breaking his father’s heart and perhaps his own in the process. This tragic quality to Oscar rubs off on pretty much everyone he meets, including the Anglican priest who begs Oscar for his betting system and loses his entire wealth foolishly trying to make it work for him, and then commits the sin of suicide. Later, when studying in Oxford, Oscar sees the arrival of the rouge Wardley-Fish into his life as another sign from God. Wardley-Fish takes him to Epsom Downs and introduces him to a world he didn’t know existed: the world of horses and betting. Oscar sees the light, so-to-speak. He is hooked and develops an elaborate, obsessively maintained and successful betting system. His decision to come to New South Wales on missionary work is made with the toss of a coin. As he leaves, his father presents him with the caul from his birth. Cauls are said to guard against drowning and were once highly prized good luck charms, particularly amongst sailors. … a tiny church with dust dancing around it like microscopic angels. … The light shone through its transparent, unadorned skin and cast colours on the distempered office walls as glorious as the stained glass windows of a cathedral. This leads to the wonderful image of Oscar’s whole party being hoisted onto the ship by the crane used to load animals after their attempts to get him up the gangplank end in failure. What follows is a delightfully rendered and very peculiar love story as these two outsiders and loners are brought together, painfully, in characteristically prudish 19th century fashion (heightened even more given Oscar is so religious). 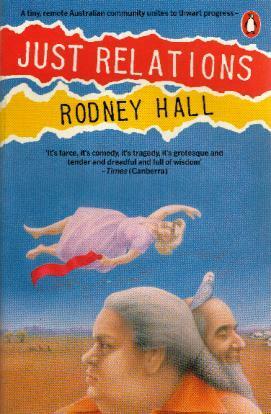 The novel also deals with the thorny issue of colonisation and its effects on the aboriginal population of Australia. It was one of Carey’s initial themes: he saw an empty church of old Christian stories, having wiped out the old aboriginal stories, now itself being removed from the landscape near Bellingen because of a lack of funds. Needless to say, the overland expedition, which Oscar’s delivery of the church puts into play, impacts local aboriginals with tragic consequences. The man inside the church waved his hands, gestures which appeared, from the perspective of Marx Hill, to be mysterious, even magical, but which, inside the crystal furnace of the church, had the simple function of repelling the large and frightening insects which had become imprisoned there. Oscar is trapped there too, for he is described (relentlessly, repeatedly) throughout as being like a praying mantis. He’s an insect trapped with all the other insects. It is a lovely, reasonably subtle link. Unfortunately for the insects, the church seems to be a hell, for they keep bashing into the ‘nothing’ of the glass. At other times though, the repetition is odd. We have the strange situation where images and descriptions are used by both the narrator and then by the characters. For example, at Epsom Downs, Oscar is described [p117] by the narrator as “such a scarecrow that some ageing Mohawks called out after him.” Then, the very next page, Wardley-Fish says to him: “You look like a grinning scarecrow.” How does Carey get away with this mixing between narrator and character’s viewpoint? Is it merely a perverse effect of the narrator ‘frame’, that our narrator imagines everything? 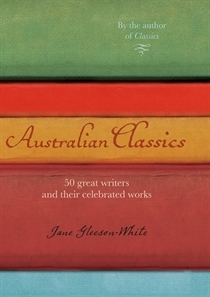 Some time ago I read a chapter that focussed on Carey’s Oscar and Lucinda in Kate Grenville and Sue Woolf’s book: Making Stories: How Ten Australian Novels Were Written. In that highly intriguing study, Carey spoke of his process of writing and what he calls his method of ‘cantilevering’, in which he begins from a place several times, trying to get a little further each time, with each effort a little better realised, “more fully imagined.” There is a print of one of his first pages where Carey is noting down ideas, the word ‘folly’ keeps appearing, as does ‘deuce’ – meaning both the playing card and also the devil. Here is the brain-stormer at work. After the interview, there are some pages of his early drafts, containing ideas, character sketches, and examples of cantilevering. Interestingly, it is on one of these pages that he himself has typed: [p46]: “HOW IS ALL THIS KNOWN IF IT IS FIRST PERSON. MAYBE THIRD WOULD BE BETTER.” Carey also notes in the interview that he has already thought of all the problems that bad reviews point out, and how writing is a form of vocation where you spend a fair amount of time in a state of doubt. It is a fascinating interview and chapter (and book!) for those of us who like to peer behind the curtain and see how the magician works. But maybe Carey should have listened to himself on the question of first person vs third? As the Guardian review and the chapter in Ten Stories will tell you, Carey’s inspiration for the opening of the story – with the fractured relationship between Oscar and his father, Theophilus, comes from Edmund Gosse’s memoir Father and Son. Every book we read is very much part of a larger conversation; new books ‘speak’ to older ones constantly. Carey is no stranger to this, of course. I’ve heard it said that Illywhacker is a re-imagining of The Odyssey, (though I can’t find any references to back that up! ); Jack Maggs is inspired by Magwitch from Great Expectations; True History of the Kelly Gang is inspired by Ned Kelly’s ‘Jerilderie Letter’; and his most recent novel, Parrot and Olivier in America, is a re-imagining of Alexis de Tocqueville’s Democracy in America. Given my slight misgivings I can’t give it 5/5 … but I’d dearly love to. I’d love to hear your thoughts. And what do you think of the movie adaptation with Cate Blanchett and (the excellent) Ralph Fiennes? Did you like the (much altered!) ending? * Spoiler alert: It is not just linking water and glass here – but death too. This phobia of water that Oscar, also extends to his father who listens to Oscar’s lungs with a stethoscope every morning: [p26]: “They were always clear … but it gave him no peace, for God had told him there was something wrong with the boy.” Oscar’s lungs might well be clear of water here, but by the end they’re not. We see on the expedition too, his total abhorrence of water when he refuses to bathe, embarrassed to be naked in front of the other men, but perhaps just as likely, he knows he’s in a life-and-death struggle with water and senses that water will finally win out. Not even his caul will protect him. So we have this wonderful linkage: water, glass (which is a liquid), religion, gambling, and death. Oscar’s fate is sealed right from the start of the novel, he is caught in the glass frame photo, and in the end he drowns, trapped in the glass church.